This feels like the beginning of a beautiful rivalry. Ronan O'Gara was 32 when Johnny Sexton arrived on the scene and took his Ireland jersey. The pair traded it over the next two years before O'Gara finished out his Ireland career in a supporting role. Johnny Sexton is 33 now but he expects to be motoring, still, by the Lions Tour to South Africa in 2021. He is keen to play on beyond that too. One hopes he does as Saturday night in Thomond Park really felt like the beginning of the Sexton rivalry with Joey Carbery. The 23-year-old is midway through his third season of professional rugby and has already racked up 16 Test caps, but only a rare few would argue that he is Sexton's genuine rival for the Ireland 10 jersey. Carbery is not there yet, but games like Munster's 26-17 victory over Leinster will do him wonders. It will do wonders for Ireland too. The Munster outhalf faced Ross Byrne back in October, when Leinster claimed the day. He came in for a rough night up in Dublin but it was Sexton feeling the heat in Limerick. Fineen Wycherley burst out of the defensive line to leave Sexton on his back and the pair swiped at each other before their teammates waded in. 97 seconds were gone on the clock. Was Sexton lucky to avoid a card? Early on, too, CJ Stander levelled Luke McGrath and every player in red was hunting Jordan Larmour when he got his hands on the ball. 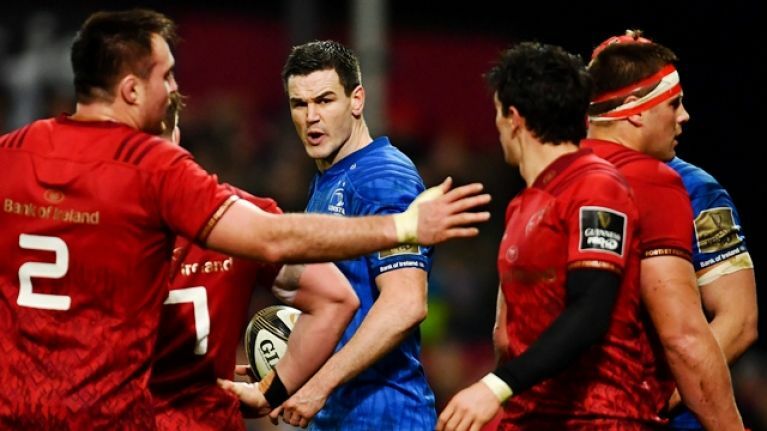 As Johann van Graan said after the game, you can't go out hoping to merely contain Leinster. The fight must be taken to them. Five minutes after his tete-a-tete with Wycherley, Sexton got a clearing kick away and had Jean Kleyn smack into him as the ball sailed away. It was harmless enough but pure niggle and another message to Sexton, and the Munster crowd. Nothing was coming easy. All the while, Carbery was tipping along nicely. He was showing up in defence, when required, and running a lot of the ball that came his way. Conor Murray called many of the plays but Carbery was settling in nicely beside the senior man in the half-back pairing. He kicked for an attacking lineout, on 14 minutes, and was two feet off the pitch in celebration as Chris Cloete finished off a rolling maul that Leinster could not halt. His big settler arrived as the rest of his team made their way back beyond half-way. A touchline conversion to ensure maximum scoreboard damage. The kick was casual and graceful and was never missing. He had faltered over in Castres but he would not miss against his home province. "I think Joey showed some real mental strength tonight," van Graan said after the match. 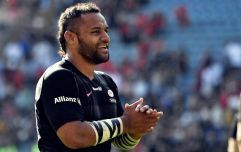 "He missed one or two (against Castres), two weeks ago. I thought he was excellent with his goal-kicking tonight. Obviously, for him personally, playing against his former team at a sold-out Thomond Park was a big moment. Very happy that he kicked it over and you need a quality goal kicker to beat the best and I thought he did that excellent tonight." Carbery was composed and played to Munster's game-plan all evening. When it came time to punish some Leinster intransigence at the breakdown or in the loose, the Munster 10 teed one up and sent it between the sticks. Leinster attempted to rattle him too. Jack Conan and James Ryan took bullocking runs right at him and he did his best to absorb one Tadhg Furlong carry before bouncing up and resuming his place in the defensive line. He was hurt in one ruck as Garry Ringrose and a Leinster teammate cleared him out with force, but he shook it off after a few whirling seconds and got back in line. It wasn't a flawless performance - he missed four tackles and he held onto the ball a beat too long in a couple of attacks - but it was an outing he, his teammates and his coaches will have been pleased with. One of his final acts was to knock over his fifth consecutive kick of the night when Leinster went off their feet at the breakdown. Joey Carbery kicks Munster 9 ahead with 15 minutes left. 14 points scored and an all-round performance to put his team in a strong position to win the match. He rose above the niggle, too, and merited the standing ovation from several thousand Munster supporters inside the crowd. Sexton had been replaced 10 minutes beforehand so Leinster could give their next young outhalf hopeful Ciaran Frawley a taste of this white-hot rivalry. 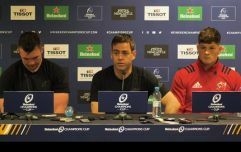 The World Player of the Year had allowed Munster under his skin and had some supporters questioning if the extra task of captaincy is doing him, or his team, any favours. This is why the move to Munster was made - for Carbery to come into his own as an outhalf and for Ireland, as a result, to have a serious a quality operator on hand. Making the switch from European and Guinness PRO14 champions Leinster, down the N7 to Munster, would not have been easy. On Saturday, Joey Carbery must have felt somewhat justified as the risk was paid back, in small part, with a satisfying reward. We hope Carbery continues to grow as Munster's 10 and that Sexton plays imperiously on for another few years yet. This is just starting to heat up.